As promised we are keeping up our candid talk about the business, and the people, and the weirdness that is called The Art World! Please send us your questions if you have any for Jonathan and Jorg. They are definitely not finished with part 3, they are still up for more talks, so write to hello@heliumtalk.com and they will see if they have some answers for you. 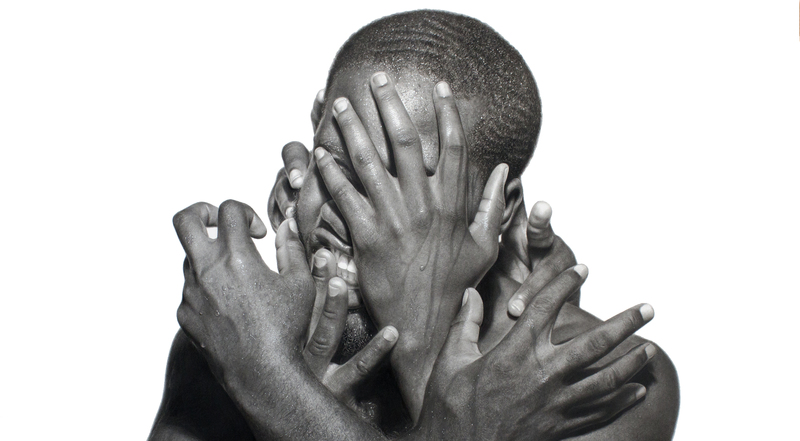 Working primarily with charcoal and graphite on paper, self-taught Nigerian artist Arinze Stanley creates hyperreal portraits that highlight the African existence as a catalyst for social change and political activism. 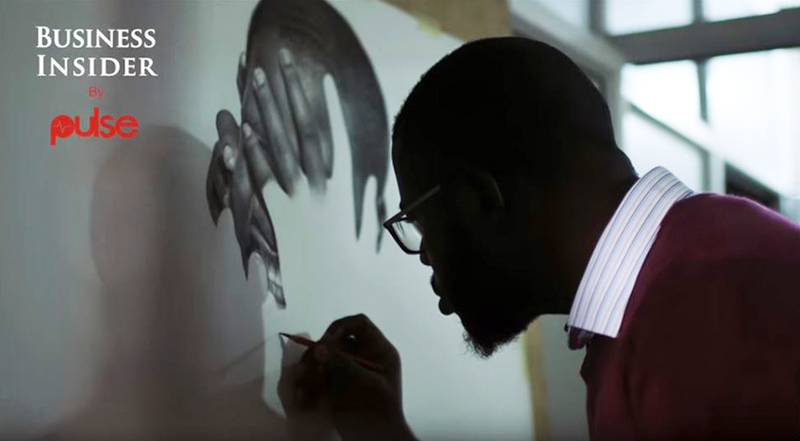 By addressing humanitarian issues both in his hometown and worldwide, such as modern day slavery and women’s rights, he utilizes his art as a way to speak for those who cannot speak for themselves. As a result, his lifesize drawings trigger an intense emotional connection between subjects and viewers. Watch the video interview below to learn more about his process, inspiration and life in Nigeria. Win Wallace is this year’s winner of Jonathan Levine‘s Delusional Art Contest. 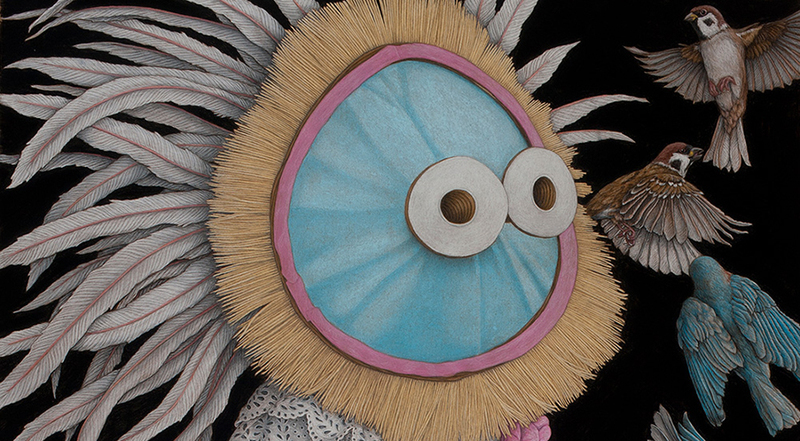 His work features many masked characters, usually with a cast of animal companions. They contain movement over stillness, sometimes with vivid colors contrasted against dim or black skies. Each piece has a life of its own, with characters and stories folded into it, providing a sense of exploration each time. We’re excited to have his work on our website as part of his first place prize, so read on below to get some insight into the world of Win Wallace. 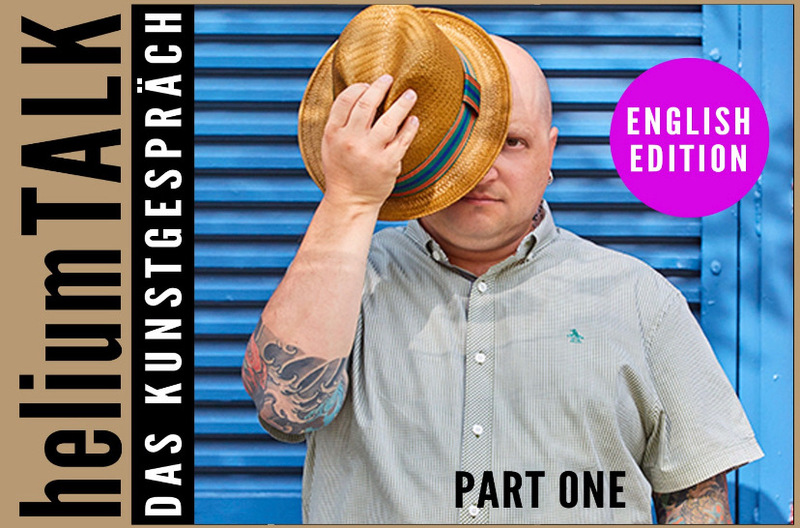 Juxtapoz: First off, where are you from, and what got you into making art? Win Wallace: I was born in South Carolina and grew up mostly in Georgia, but have been living in Austin, Texas for a really long time now. Not really sure how I got into making art, its just something I have always been doing since I can remember. Who were some of the first artists that piqued your interest? Well in my house growing up, we had this oversized book of the Mexican Muralists, like Orozco, Siquieros and Rivera. The book had big beautiful images of all their epic works, and it was just immediately captivating to me. I copied a lot from that book as a kid. I think books on the history of art were also so important because there weren’t great museums anywhere near where I grew up, but I could visit them and see all this crazy work in their pages. One individual that was also personally an early influence or inspiration to my approach to making art was Rev. Howard Finster. A true visionary artist, he lived a little ways from me back in Georgia. I would visit him as a teenager and usually bring something I made, or maybe an interesting thing I found for his art garden. Whenever possible, he would take the time out to talk to me about making art. He would encourage me to reflect on ideas that come unconsciously because they’re gifts. He was a preacher as well as an artist, so his feeling on where that inspiration was coming from was a bit different. The essential message was to be open to the pictures that rise up like in a stream and allow them to resonate a bit before they are corrupted by our own abilities to try and recreate them. Also, the honest and patient way about him, to take the time and genuinely speak with this weird long-haired kid showing up in his yard that liked art, has always stuck with me. Have you always been interested in making highly-detailed work? What’s one thing that draws you to capturing every detail rather than abstracting or going looser? I think being drawn so early on to more detailed figurative stuff has informed the kind of work I make. But in general, I just love the little things that might be hidden within a particular piece. A work can have its main subject, but so many other little dramas can be happening all around it that really add dimension or extra layers to the whole. There is also a compulsive element that happens when I’m drawing, where every leaf or petal deserves its own consideration. Every blade of grass is its own unique creation, with its own life and death, and it seems like that should be respected. Masses of leaves and flowers can be incredibly tedious to draw in any convincing manner, but by pushing through, it helps all the small elements build up until they give the drawing a natural sort of life. And even though my drawings are fictional, I want them to have some kind of life and character as if they were real. To respond to the other part of the question, I like a lot of artists that make looser work, but it just doesn’t connect with how I make stuff personally. And I disagree with some of the second half of the question, because I think a lot of abstract work contains a lot of detail too. And even very detailed elements of representational work can take on a very abstract character in some ways, if you really focus in on them. Masks usually carry a multitude of meanings. What do they mean to you? My work usually takes one of three forms ballads, allegories or parables. The ballads are usually the only one where masks come into it. There are a few reasons for them. The first practical reason is that they are created as portraits but obviously fictional ones. If the subject looks like Herman Melville, Grover Cleveland or someone’s favorite Aunt, then the unique life of that drawing gets sucked away or at least confined. But that practical reason also then opens up a whole new universe of possibilities to add nuance to the character in a drawing bringing it closer to something more real. Hopefully, folks can approach the work and have an unencumbered interaction with it. But then there is the level of the “meaning of masks” that is both more personal and also universal which is that all throughout time we wear them physically or otherwise. Masks just like portraiture as an art form have persisted in many ways to connect with a symbolic or aspirational sense of how we want to be perceived. Often times even the masks can be invisible and mundane, the roles we play at work or different day to day situations. I’ve spent a good bit of my life bartending which requires a more gregarious mask that is very different from the version of myself at work in the studio or other parts of life. You also make music, what’s something you carry with you in recording or creating music more than you do while painting? Making music has primarily been an avenue to continue being creative but instead of the more prolonged solitary way of drawing, it’s in a more social and conversational way with other folks. That being said, it helps keep the mind open to the inspirations that arise from thin air. In my opinion, creativity is a sense that we all have just like touch, taste or sound. In many ways its kind of the sum of all the senses because we have some conscious control over it and can draw all elements of our experiences and thoughts together into some tenuous semblance of understanding or appreciation at least. So keeping that sense tuned as finely but broadly as possible must be beneficial. Where’s your favorite place to go and be alone? My studio for sure, though my dogs are usually there too. What exhibitions do you have coming up beyond this? What kinds of projects do you want to pursue with your visual art in the next year? Besides the thrilling amount of work I am making for the awesome folks at Jonathan Levine Projects, I just finished something today for an upcoming show later this month curated by Curse Mackey and Tony Hawk in Las Vegas. There are a bunch of really great artists I love in that, like Pamela Wilson, Daniel Martin Diaz and friends Tim Kerr and Kengo Hioki. I have some stuff in the works with Craighead Green gallery in Dallas percolating, and some musical stuff with my band. This year has been pretty busy, but I’m thinking next year already looks busier. Very thankful for all of it. Jeff Soto: FutureGods is currently on view at the Lancaster Museum of Art & History as part of a museum wide presentation of eight solo shows that make up The Robot Show, which explores the place robots, and other forms of artificial intelligence, have in a contemporary social landscape – from popular culture to nature and spirituality. Located in the East Gallery of the museum, FutureGods features robots prominently in bold paintings and murals meant to evoke nostalgia and the natural environment. Soto’s depictions are friendly creatures and personifications of earth’s forces that thrive in a dystopian environment plagued by the complexities of modern living. They roam the surreal landscape and are surrounded by overgrown greenery, deteriorating technology and overall societal decay. Plants and wildlife are taking over technology and in many cases merging together. 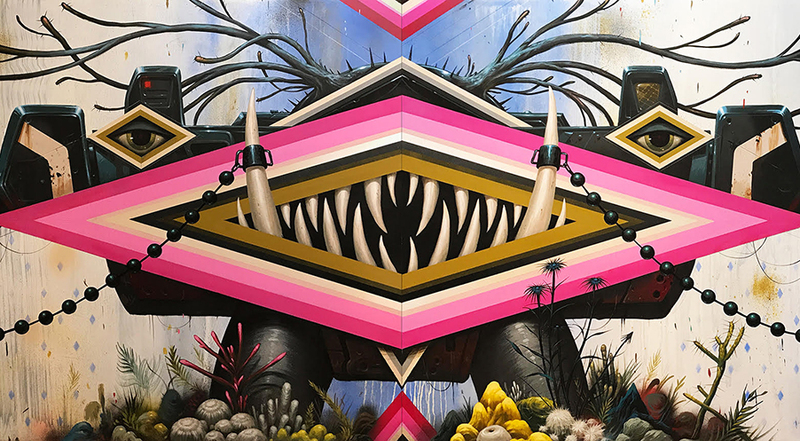 However, Soto’s use of vibrant colors and organic shapes evoke a sense of hope and effort to revitalize, communicating themes of family, nature, life and death. Email sales@jonathanlevineprojects.com regarding availability of work from FutureGods. The Guardian (2018), acrylic on wood panel, 42 x 120 in. Dreamer (2018), acrylic on wood panel, 24 x 30 in. Valkyrie (2018), acrylic on wood panel, 30 x 40 in. 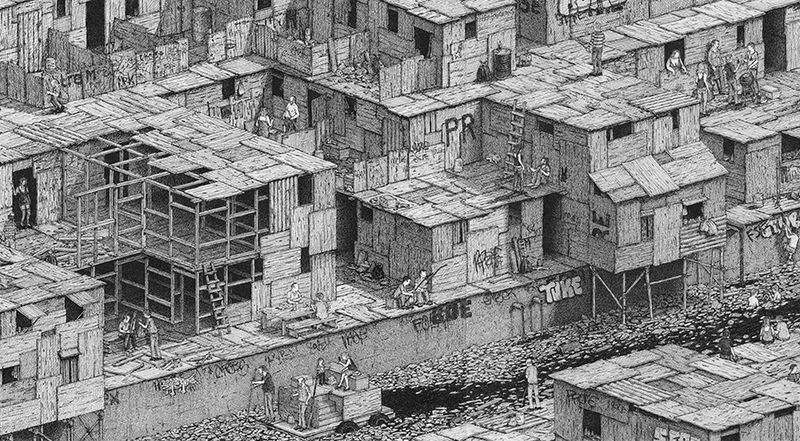 Jonathan LeVine Projects in New Jersey will be presenting the insanely detailed drawings of Ben Tolman in a solo show. Working with both geometric forms and urban sprawl, the Washington D.C.-based artist creates frenetic compositions that will introduce you to some new intriguing new element with each viewing. Take look at some more preview images below but these must really be in seen in person to be truly appreciated. RONALD GONZALEZ ON HIS ENTHUSIASM FOR TV, TEACHING FROM EXPERIENCE, AND FINDING HOME. Ronald Gonzalez creates figurative sculptures that meld everyday objects into human forms, creating inanimate yet expressive beings concerning themes of mortality, memory, and psychic pain. His upcoming show Things Portrayed at Jonathan Levine Projects features new work from his Head Series, made from reclaimed objects described by the artist as “surviving vestiges of time,” such as forks, rotary phone dials, reflective lights and musical instruments. By combining these objects with scraps of black leather, wax, wire and carbon Gonzalez forms layered portraits complete with provocative identities, all of which capture the psychophysical energy associated with human existence. Read our interview with Gonzalez below, where he goes in depth about his enthusiasm for TV, teaching from his own experience, and finding home. 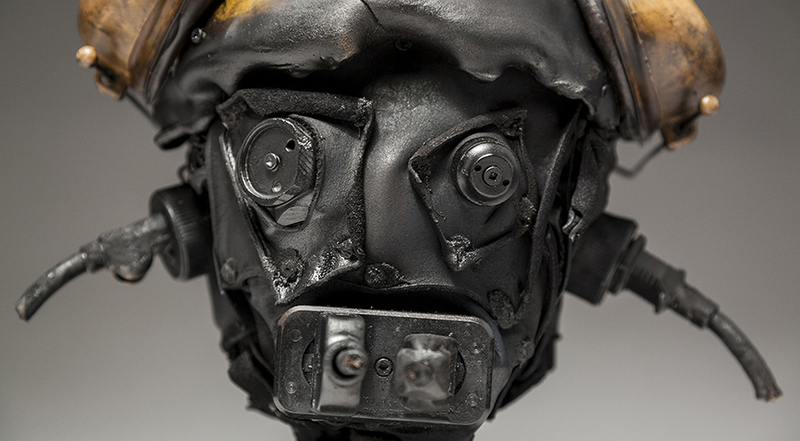 Juxtapoz: What draws you to found objects? Did you come to that choice deliberately? Ronald Gonzalez: I like something that Ed Kienholz said, “The entire planet is the most awesome found object.” It so true, humans have shaped the world and in the spirit of Kienholz, the world it is like a huge grotesque mysterious assemblage thrown together. The allure of the found object is that it is vulnerable and lost in life. Objects are also inherently physical, already shaped and hardened by their history. The found object is autonomous and open to change while having profound symbolic connections as signifiers with multiple meanings. In my case, the object is transformed into a human personage. I definitely favor the imaginary hybrid being where the object becomes animated, unsettled, and extended as a thing. Found objects were always accessible to me. As a child, I played with worn out things from the streets. I remember using bottle caps as small ships, floating ants across mud puddles and filling my pockets with all kinds of things run over by cars. I’m still doing the same thing, still with a somewhat childlike eye, using Binghamton as my backyard and found home…meaning the place I found myself born into that remains an integral part of my reality. I’m a collector and all collections tell a story while referring to the person doing the collecting. It’s all a search for tangible meaning. I’m drawn to the immediacy and condition of the object, its moment in time, that moment can not exist digitally or on a cell phone, it not a second-hand experience, it involves touching the resonating traces of others peoples possessions and experience. I internalize the things I find. I take them inside of myself and make them over into figurative sculpture modified thorough my provincial background using objects as fluid thoughts and visual equivalents to trauma and loss. Leather, wax, and wire all seem like materials that carry a brutal or occult feeling at times. They seem to carry some kind of inherently sinister connotation when used together. What draws you to them? I am drawn to time-worn and distressed objects that have a sense of material decay with all of their marks of degradation. Objects represent our finite existence and I prefer them to have this physical certainty where they have reached a point of no return, having a sense of ruin and death that has begun to transform the core of the object. For me, it takes on a new beginning as raw material. Perhaps that lowly distinction makes them feel raw or brutal. It also makes them feel all-knowing, possessing a lived truth and beauty, like an old car that has seen its day, now part of a metaphysical wasteland. What draws me to objects is their real presence and lingering state of spirit. I feel for them and into them. I am drawn to their empathic potential for triggering new combinations and proliferation of life. What’s one way you connect this work to the themes of mortality and memory? Is this specific to personal mortality and memory, or the collective as well? Making Sculpture has always been an intensely private and familiar way of connecting to something larger. I work through a series of themes and variations of form. Mortally and memory have been two recurring themes that I have been long obsessed with that are also very old universal ideas. These are themes that are relevant to my individual experience and are lived from within and expressed in those terms. My unrest, fears, anxieties, and private memories are part of my mortality and are also part of the absurdity and ambiguous condition of our times. Mortality and memory always seem to accompany and communicate with each other as two sides of the same coin, counterbalanced in this constant tension. My humble connection is through acquiring and embracing things that are weighed down and mix with my memories to use in the constant creation of works by permanently fixing them in the present to keep both the objects and my mortality at bay. What is one key thing you like to teach in your art and sculpture classes? My rationale for teaching comes out of my identity and being as an artist. In teaching everything is geared toward allowing students to think for themselves with an internal sense of projecting themselves forward toward some passionate unknown. As a teacher one is a guiding personality providing students a context to be comfortable being lost as they reach deep down into the well? They find the form of the work through the physical process of continual labor. Making and imagination are key elements that have to take place. Another is the importance of students believing in the value of their personalities and how important is to recognize and trust one’s own feelings and intuition. One of the great lessons I learned from the filmmaker and former teacher Ken Jacobs was that feeling was one of the most sophisticated forms of thinking regarding expression. That idea has become part of my mission as a teacher. Do you recreationally read about history? If so, what was the last good history piece you read? Actually, I am an avid TV watcher. I grew up in the fifties when black and white television was making it heyday. Television was my window to the world and it was a very much an arranged picture of a consumer culture of talking appliances and mass-produced excess. During these years, I formed a defective television mentality and a lifelong preoccupation with caricatured personalities, and a kinship with Hollywood sci-fi -films, monsters, robots, alien creatures, and corpses, that lived in the shadow of post-cold war threat of nuclear apocalypse. Television and movies introduced me to beauty, repulsion, humor, sadness, social turmoil, and life’s absurdity. Books were there, I always collected them, but they existed on the periphery. I was drawn to them but never developed a strong habit of reading since every word created images and trains of thought that stopped me in my tracks. As for history books, I am mostly interested in the comprehension of history and our place within it, how life and meaning are constructed and made. I recently purchased the Strange Order of Things, by Antonio Damasio that investigates the long lineage of development from cells to the human mind and culture. I’ve had the book for weeks but haven’t confronted it yet. It never seems to be the right moment to pick it up, even though I know it full of visual connections and references that can be transformed into the flow of sculpture. My resistance is a fear of knowing something important is there that I need to know is waiting for me. Jamie Adams offers striking oil paintings that “present the artist’s reconstruction of scenes from his father’s youth” in the new show Blondie Bubba at Jonathan Levine Projects. 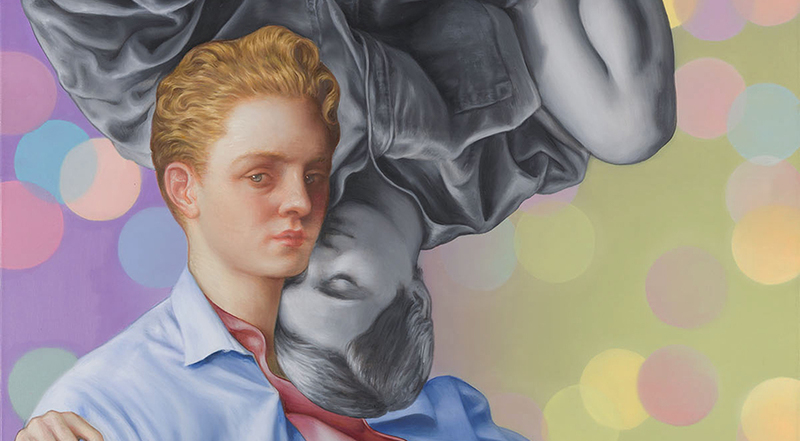 The works blend the influences of varying artforms while examining the idea of memory. Adam was featured in Hi-Fructose Vol. 40. The show runs through June 9 at the gallery. See more work from the show below. If you’re an emerging artist looking for their big break, acclaimed gallerist Jonathan LeVine is heading up the Delusional Art Competition for the second year. 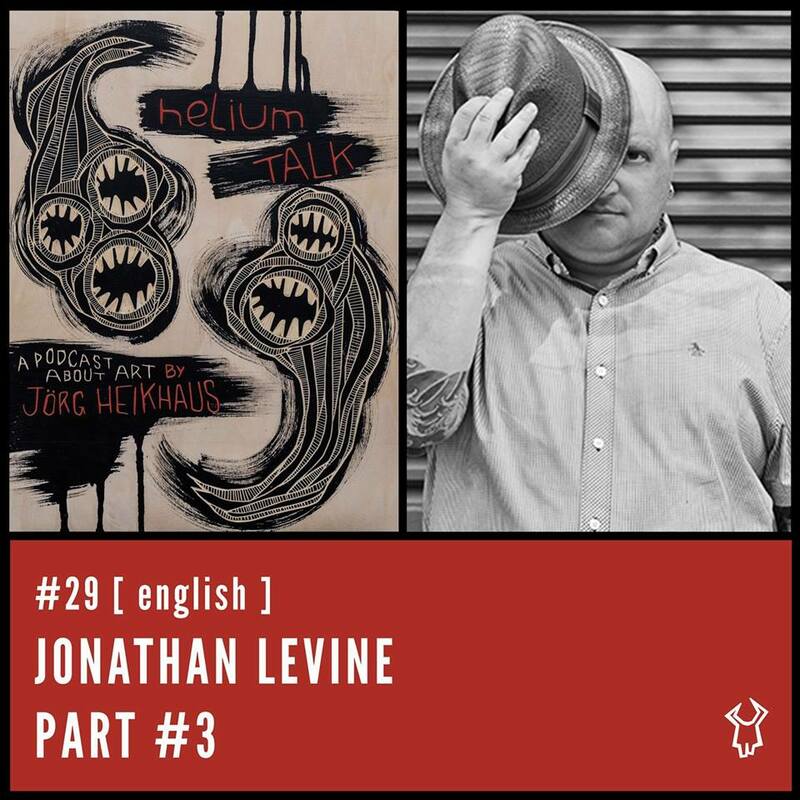 Artists from around the world who work in 2D and 3D mediums are encouraged to apply for the chance to win a solo exhibition at Jonathan LeVine Projects in Jersey City, New Jersey. LeVine, who began his career in 1994 curating exhibitions at alternative/punk spaces in New York City, opened his first gallery in Chelsea in 2005. Working with names like Ron English, Jeremy Fish, Roa, Dan Witz, and Haroshi, LeVine is on the cutting-edge of contemporary urban art. 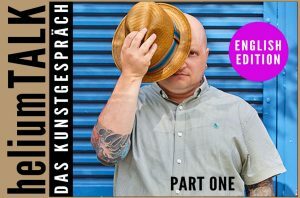 Now, he’s gathered a powerhouse jury of peers to help him give emerging artists the chance to disrupt the traditional art market and gallery system. 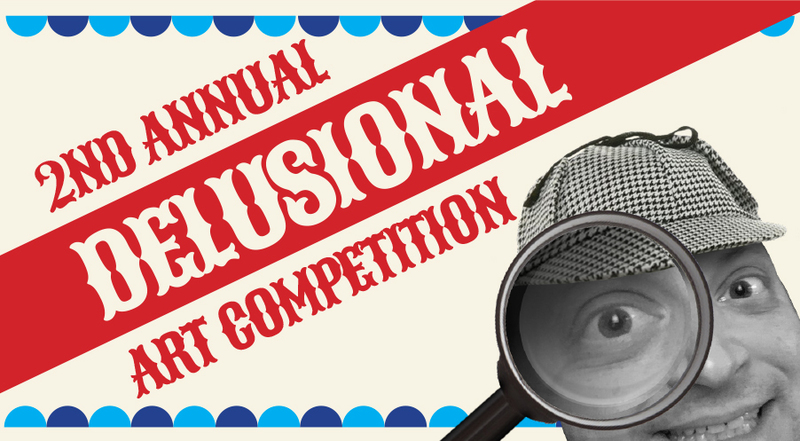 Delusional Art Competition is not only the chance to win a solo exhibition, but for artists to also have their work critiqued by professionals in the field, including editor-in-chief of Juxtapoz Magazine Evan Pricco and renowned artist Tara McPherson. 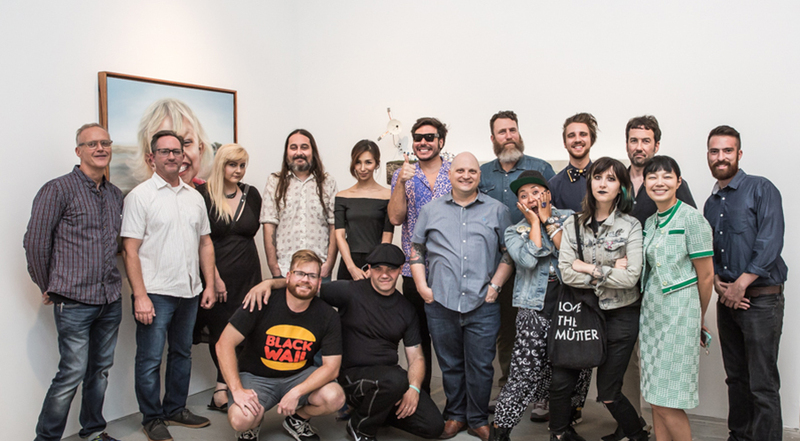 The top 40 finalists will have their work displayed during a group exhibition at Jonathan LeVine projects, with the top 50 finalists competing in a public vote for cash prizes. 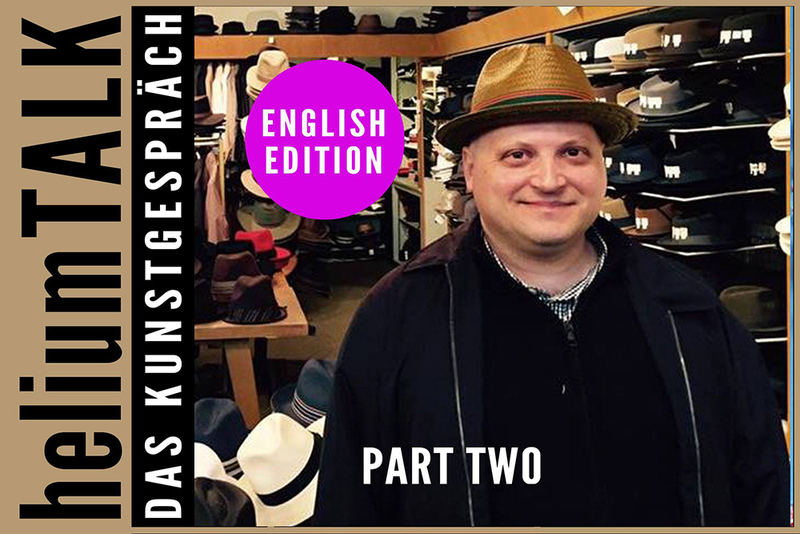 We had the chance to speak with LeVine about his career and what it means to be a gallerist in the digital age, as well as his motivation for creating the juried contest. Read on for our exclusive interview and don’t forget to submit your entries to the Delusional Art Competition by May 20, 2018. What first inspired you to become a gallerist? I didn’t set out to be a gallerist. I just kind of fell into it. I started organizing art shows in bars with artists I liked who I felt were underrepresented and the gallery ended up developing out of that hobby/passion. What’s the biggest change you’ve seen, in terms of the role of galleries, over your career? Artists aren’t as dependent on galleries as they used to be because of the internet and being able to connect directly with the public through Instagram, Facebook, websites, etc… It has become harder for the gallery to function in the traditional way so we are reinventing ourselves in new ways. Your decision to move from Chelsea to Jersey City last year seems to be part of a growing trend where smaller art centers are popping up around the US. Why do you think this is and what do you consider some of the hottest, small centers for contemporary art galleries? Most galleries are doing much of their business online these days so geographical location isn’t as important as it used to be. We can interact with viewers and clients all over the world from our laptops. Some great small centers for contemporary art on my radar are Philadelphia and Portland, OR but there are great small galleries popping up all over the country as well as internationally. What was the impetus behind starting the Delusional Art Competition? A friend’s gallery asked me to jury a show for them a few years ago and it was very successful. After that, I got it in my head to try it myself. Since the success of last year’s competition, I am focused on taking the idea of the juried art show and putting it on steroids. I would like to turn it into a very large competition/platform that has many facets to it. I like the idea of creating an even more democratized art world by allowing the public to be involved as well having art professionals, artists, and brands have a voice, too. I would also like to create a platform to help many emerging artists. The choice of “delusional” as a keyword is quite ironic. Criticism has been a large part of any artist’s career. How do you feel the role of art criticism has changed in this age of social media, where people tend to pat each other on the back? I think there is a lot less art criticism these days. It was never a big field in the first place as the academic art world is fairly small. People seem to care less about it, unfortunately. The price of having the art world become more democratized because the internet has also crushed this sort of hierarchy which had its pros and cons. It is very hard for collectors and viewers to understand what is good anymore without some sort of rigorous criticism and structure. As a gallerist, can you share your perspective on why it’s important for emerging artists to be open to critical feedback? It is the only way an artist can grow. An artist needs to constantly be growing and evolving. What sort of mindset do you generally look for when scouting for new talent? Ambition, organization, easy to work with, and open-minded. You’ve been at the forefront of cutting-edge art trends for years. Where do you see the contemporary art world going in the next 5 years? That is a very hard question to answer. This is a time of great uncertainty in what is happening in the art world. Art is more a part of the mainstream public’s consciousness which is great but how this will all play out for galleries, museums, and artists remains to be seen. It is very hard to forecast at the moment. What do you see as the principal role of gallerists in the social media age? This is also a difficult question to answer. We will function the same for artists who want to be represented within the traditional gallery structure but for other artists, it will be different. We need to be flexible and figure out where the needs of the artist are while creating a sustainable business model. The gallery may become more of a creative agency involved in multiple types of projects as well as focusing on artist management and sales. We are all still figuring it out as social media and the world rapidly changes. All images courtesy of Joe Russo and Maud Frisenfeldt. My Modern Met granted permission to use photos by the Delusional Art Competition.